We love Changi Airport. It is one of the best places to visit in Singapore to avoid the crowds. 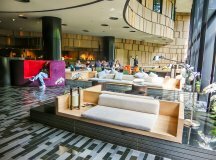 With the large air-conditioned open spaces, coupled with great shopping and dining options, it is a popular spot for Singaporeans that want to go somewhere on a weekend without a crowd. Personally I would visit the airport very often in my teenage years when I was in desperate need of a quiet place to study. To cover all the interesting things at Changi Airport, such as the hidden staff canteens and the secret gardens, a separate post is required. 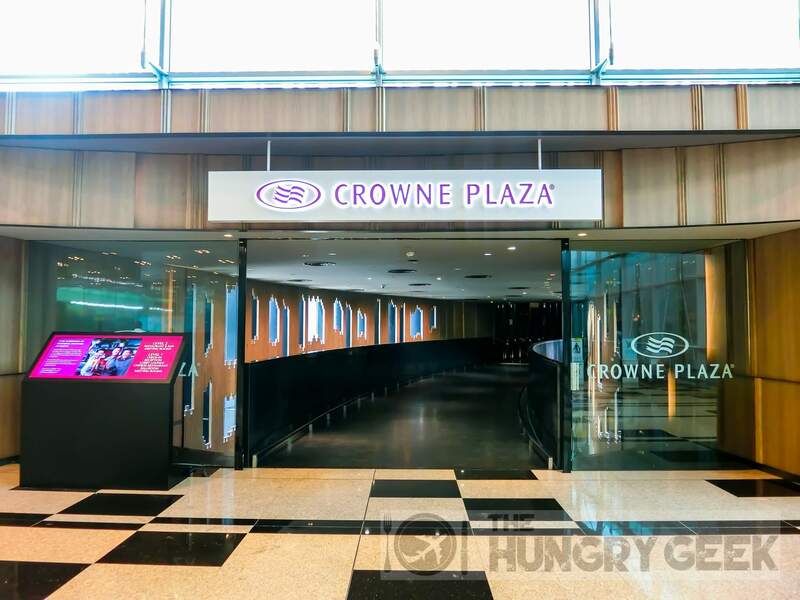 This post will cover one nice gem that we found in Changi Airport – the high tea at Crowne Plaza Changi Airport’s Lobby Lounge. 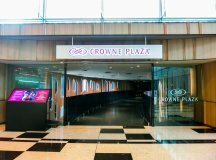 To get to Crowne Plaza Changi Airport, you will have to go to Terminal 3 – the entrance to Crowne Plaza is just beside the skytrain at the level 2 Departure Hall. To get to the Lobby Lounge, you have to take the escalator down to the main lobby. The high tea here was great. The ambience is fantastic, and the standard of food is at a high level. While this is not ‘OMG the most delicious food ever’, one could tell that the food was created and designed by a master chef and this is something that people will pay big money for. 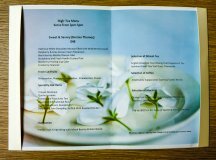 The High-Tea menu is served daily from 2pm-5pm. 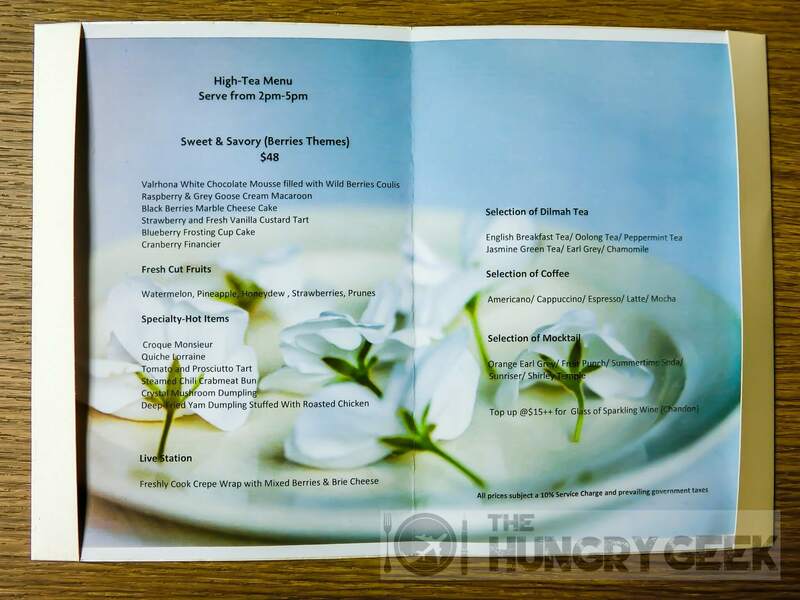 Currently, Crowne Plaza Changi Airport has this Sweet & Savory Berries Theme High Tea that is priced at S$48++. The net price should be around S$56. The Lobby Lounge at Crowne Plaza Changi Airport has a seriously amazing ambience. The people traffic is low, and the ceiling is high with loads of nice humongous couches to chill out. This is a really great place to chill out in the afternoon on a weekend. As for the service standard, the staff were attentive as would you expect from a top rated hotel. However, the food knowledge of some of the wait staff was lacking, and quite a number were not able to tell me the names of the items that they were serving. We had to guess using Google. For the uninitiated, Valrhona is a premium French chocolate manufacturer that makes chocolates purely from cocoa beans. A mousse is a chilled dessert with whipped cream as a base. Coulis is a thick sauce made from pureed and strained vegetables or fruits. So basically this is a thick creamy white chocolate dessert with berries and delicious berries sauce underneath. This is a very premium and exquisite dessert, and if you are a fan of berries you will enjoy this. There is the cute edible panda figurine on top. The thick creamy white chocolate mousse is as delicious as it sounds, with a light white chocolatey fragrance. The berries underneath match the mousse very well. We rate it 4.1/5. The picture also has their Blueberry Frosting Cup Cake @ 4/5 and their Raspberry & Grey Goose Cream Macaroons @ 3.8/5. The croque monsieur is that little sandwiches in the middle. The bread is fluffy and nice, with the cheese. The quiche lorraine is an egg, bacon and cheese pie with origins from the Lorraine region in northeast France – you can find it on the left in the glass contraption. The servings were a little too small to give a conclusive rating, but they should be about 4/5. Our favourite item of the high tea at Crowne Plaza Changi Airport is their Tomato and Prosciutto Tart, seen just to the right of the croque monsieur sandwiches. The tart uses the most exquisite pastry that you won’t ordinarily find elsewhere, and the prosciutto (which is Italian ham) matched perfectly with the tomato and the pastry to give a really delicious bite. We rate it 4.2/5. We loved our high tea session at Crowne Plaza Changi Airport’s Lobby Lounge. The lounge was spacious with low traffic and a nice high ceiling. It is a great place to chill out for hours. Further, the food here is at a very high standard. The chef knows what he is doing. If you live in the east and you are looking for a place to chill out place on a weekend, this is a good place to do it, while enjoying some great food. 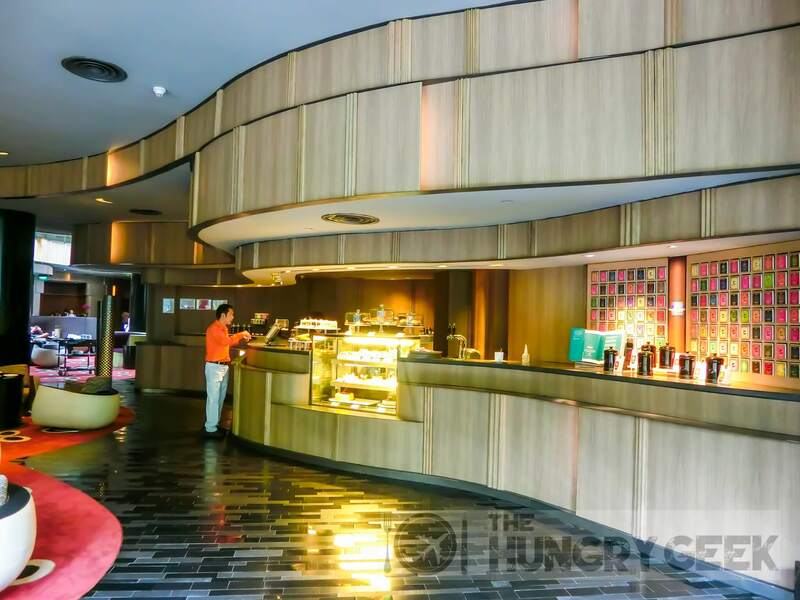 Hello Kitty Cafe at Changi – 1st in Singapore! 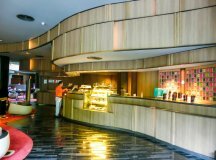 In "Singapore Cafes"
Chock Full of Beans @ Changi – Best Eggs Ever In "Singapore Cafes"
Au Petit Salut – French Fine Dining @ Dempsey In "Singapore Restaurants"